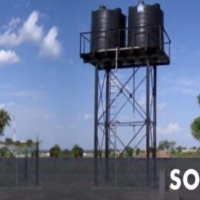 WES Solar Pumps are of the best quality in the market. We work with a German made manufacturer – LORENTZ that is pioneer in the pumps industry. Our pumps are not only known for their quality but also for their reliability and easy to use and install. Maintenance is also another major factor why General Contractors working on simple to complex water and/or solar pumps jobs choose LORENTZ. The cost saving using our Solar Pumps are very substantial and we encourage you to request a Quote and comparative analysis from our renewable energy experts.